What would a pattern be without instructions? One big puzzle! Since the very beginning, Jalie pattern have always included illustrated instructions with French and English text, along with black and white illustrations. A // LINE (TECHNICAL) DRAWINGS Front, back and different views that are included in the pattern. You might have to come back to this section when you select the pieces you need to trace for a specific view. 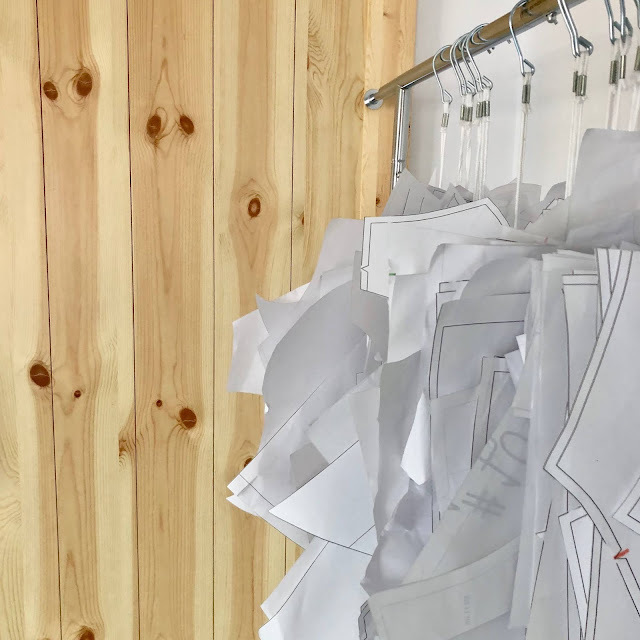 After finding your size on the back of the pattern and having read the labels on your pieces, it's time to lay them out on the fabric. The cutting layout we provide will allow you to use the yardage listed on the back of the fabric. It is a recommendation and is very helpful for people who want a little guidance to minimize fabric waste. If you have serious Tetris skill, could save even more fabric but it is important to understand the theory behind the cutting layout and follow the rules to have garments that hang straight. Terminology You will find on the cutting layout some symbols or terminology that you may not be familiar with if you are new to the sewing world. They are crucial to understanding why some pieces are positioned a certain way. Once you know what those words mean, you will have more confidence when cutting or altering pattern pieces. The most important section of the pattern is of course the pattern pieces themselves. As any sewist knows, they are much more than just a pile of lines. Let's look at them closer to better understand some little things that will help sew a perfect garment. Pattern Sizes In Jalie patterns, you will find LETTERS on the pattern edges, not numbers. We have been using letters for nearly two decades now. It simplifies things (8... would it means kid size 8 or women size 8?) 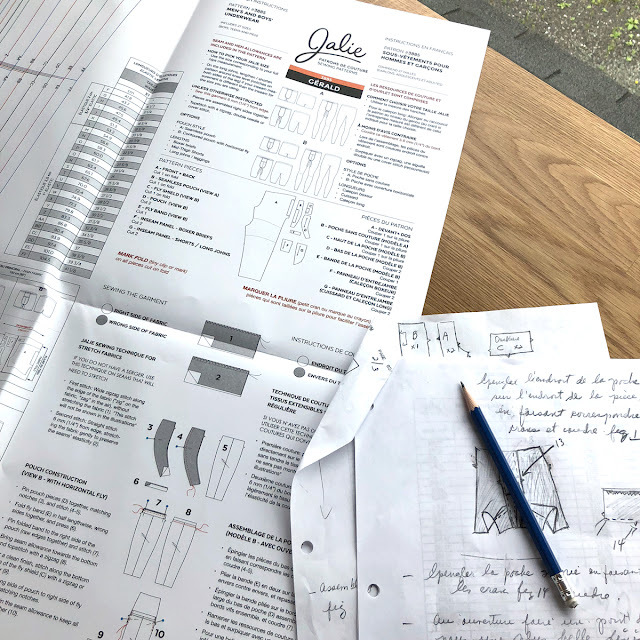 and as explained in the post about the back of the pattern, it requires you take a few measurements and increase the chance of getting better results. Before you open any printed pattern, most people first turn the envelope over to look at the back of the envelope, right after looking at the cover photo. 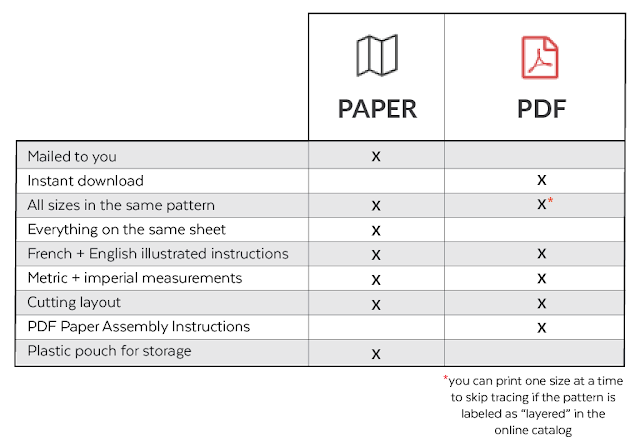 If you purchased a downloadable (PDF) pattern, you will find that information in the Instruction package. A: Pattern General Information You will always find the pattern number, name and description at the top. At the bottom, you will always see the pattern pieces, line drawing showing the views included. 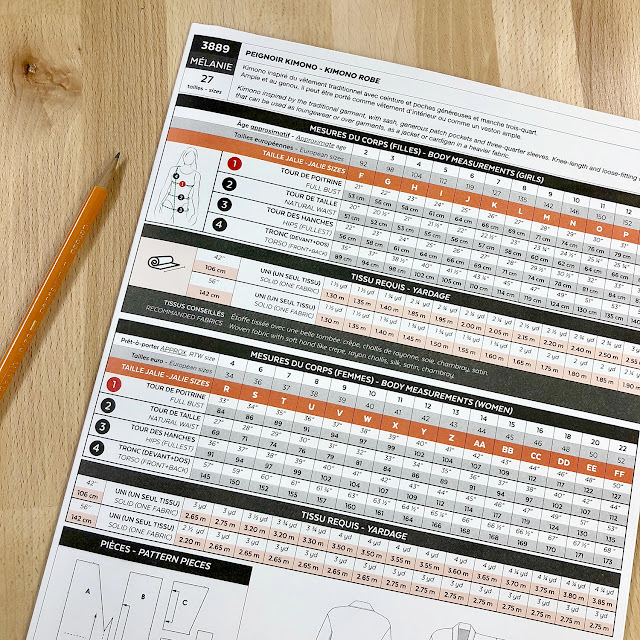 Whenever a printed sewing pattern is discontinued to make more room in the warehouse, the PDF pattern stays to keep the pattern available to people who might have missed it during the 8-10 year period where it was available in print.